Weekly Round-Up: Tom Felton Says He’d Play Draco in Cursed Child On Screen, A New Look at Rupert Grint in The ABC Murders, Victoria Yeates Leaves Call the Midwife for Fantastic Beasts and More! One week after the wide release of Crimes of Grindelwald, reviews and box office numbers started rolling in. The cast finished off their press tour with the Japanese release of the film, Leaky attended the opening of the Crimes of Grindelwald gallery at the House of MinaLima , and we shared our take on some of the canon-related controversy surrounding the second Fantastic Beasts. Earlier this week, Evanna Lynch surprised Leaky with an exclusive interview just ahead of her performance with partner Keo Motsepe in the finale of Dancing with the Stars when Leaky’s webmistress Melissa Anelli rallied the fandom to help our Luna take home the coveted Mirrorball Trophy. Unfortunately the DWTS victory was not Team Kevanna’s, but as she told us in her interview, and in her Instagram post below, participating in the competition was life changing and we couldn’t be couldn’t be more proud of her. We’ll stick with Professor Trelawney’s crystal ball instead and prophesy continued magic in Evanna’s career and life! 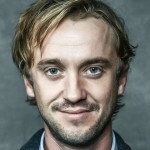 This week in our Harry Potter and Fantastic Beasts Actors Round-Up Tom Felton tells Access he would play Draco in a Cursed Child film, a new look a Rupert Grint in Agatha Christie’s The ABC Murders and a new character poster for Julie Walters in Mary Poppins Returns have been revealed, Claudia Kim talks Nagini with Glamour Magazine, Victoria Yeates leaves Call the Midwife for Fantastic Beasts, Alison Sudol opens up on friendship, music and the Fantastic Beasts fandom with The Frontlash and more! Fans will find Rupert Grint’s next on screen in the upcoming BBC adaptation of Agatha Christie’s ABC Murders as Inspector Crome, alongside his co-star John Malkovich, as renowned detective Hercules Poirot. 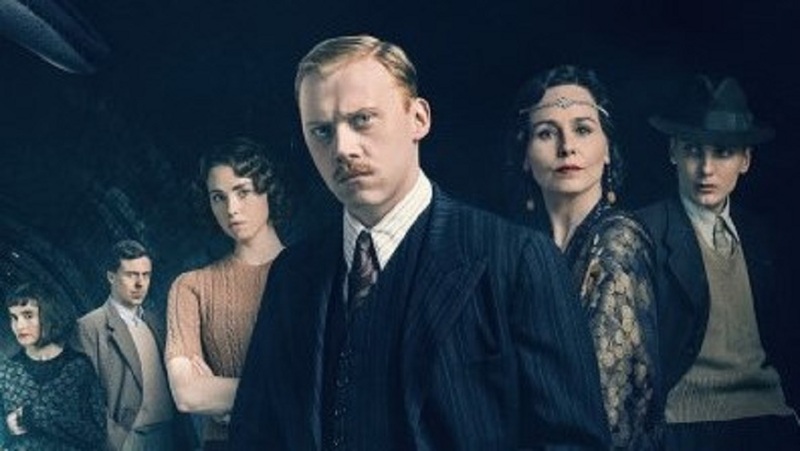 Deadline has revealed a new image of the cast, including Grint as the Poirot skeptic of the ABC Murder police investigation team as well as fellow Potter alum Shirley Henderson, Moaning Myrtle (far left) as Miss Rose Marbury. When we previewd the image on Instagram one witty follower commented that Grint was looking more and more like Reg Cattermole, Ron’s polyjuiced likeness from Deathly Hallows Part 1! You can see Grint and Henderson in the three-part ABC Murders when it airs this Christmas on BBC One and later in the US on Amazon. 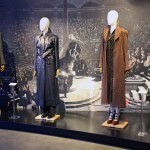 The Crimes of Grindelwald cast gave countless group interviews along the pre-release press tour, but most of the actors did a few solo. Glamour published one of those earlier this week with Claudia Kim, the Maledictus who was revealed to be the future pet of Lord Voldemort, Nagini, on Kim’s audition for the role and the impression she made on director David Yates and co-star Ezra Miller, and the preparation for their on screen camaraderie. 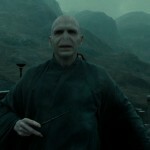 To get ready for the role, Kim trained with a movement coach to learn to appear physically snake-like. 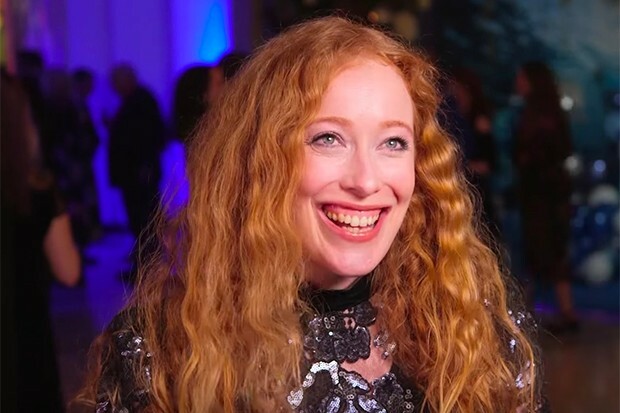 She also shared that she and Miller went on a one-on-one walking expedition to mimic their scenes together and get to know one another ahead of filming. Read more on Claudia Kim’s Fantastic Beast experience in the full interview and stunning photoshoot in Glamour. 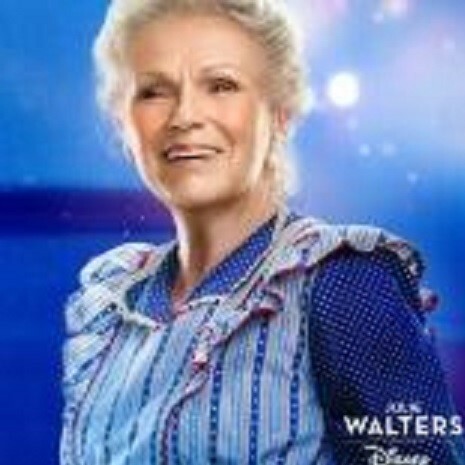 Dame Julie Walters, who played beloved magical matriarch Molly Weasley in Harry Potter, will soon take the screen as another caretaker of sorts in the upcoming sequel to the Disney classic Mary Poppins, Mary Poppins Returns. Walters plays housekeeper for the now grown Banks siblings along with widower Michael’s own children. Magical new posters were revealed earlier this week including this one for Walter’s character Ellen. Mary Poppins Returns opens in theaters December 19, 2018 and tickets are already on sale! 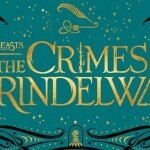 It seems that Bunty, who appeared in only one scene in Crimes of Grindelwald, will play a larger role in future installments of the prequel. We look forward to getting to know her character better and see how she fits into the increasingly intriguing plot. In the midst of the Crimes of Grindelwald press tour, Alison Sudol, Fantastic Beasts Legilimens Queenie Goldstein, met with The Frontlash to talk about friendship, feminism, making music and and being a part of the Fantastic Beasts family. Take a look at Alison Sudol’s full interview and gorgeous photoshoot with TheFrontlash. Her new EP Moon is available on iTunes, Spotify and Amazon Music. Paul Anderson, Helen McCrory, Finn Cole Reprise Their Roles As Arthur Shelby, Polly Gray and Michael Gray With New Peaky’s Character. 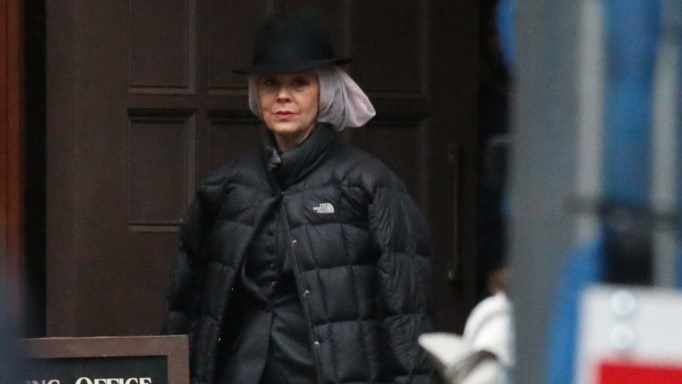 1920’s British crime drama Peaky Blinders starring Helen McCrory, who’s known to Potter fans as Narcissa Malfoy, revealed some new season 5 behind-the-scenes images of the hit series that took home the TV Choice Award for Best Drama earlier this year. Peaky Blinders, which moves to BBC One for its fifth season will air sometime in 2019. That’s all the Harry Potter and Fantastic Beasts cast news for this this week. We hope those who celebrated had a Happy Thanksgiving and we’ll bring you all the holiday magic from the Wizarding World in the coming weeks!